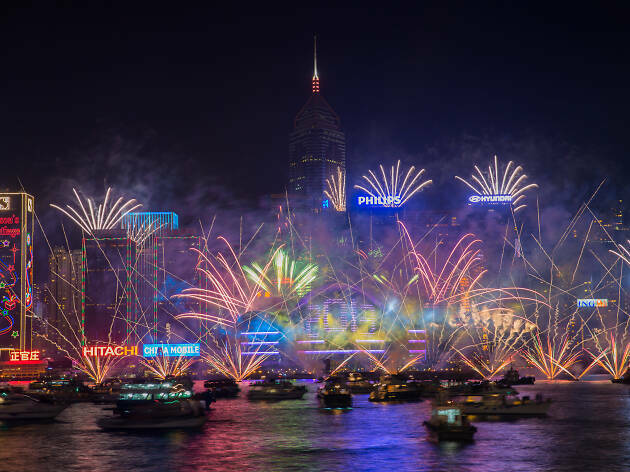 Hong Kong is brimming with incredible New Year’s Eve parties, from cheesy celebrations to swank masquerade balls. 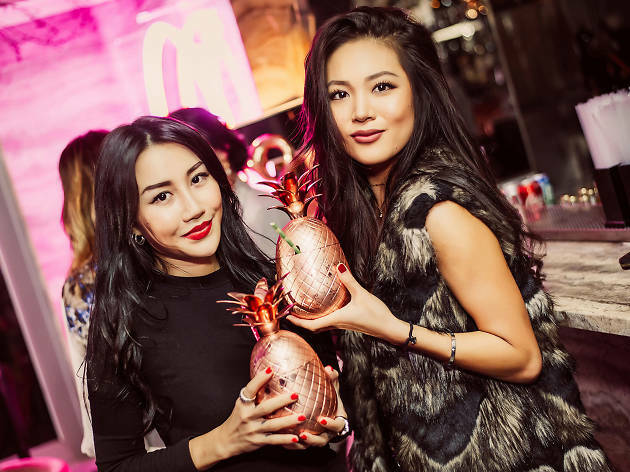 Our definitive round-up of the evening’s events makes it easy for you to track down the perfect NYE bash, whatever it is you’re looking for. RECOMMENDED: Book your New Year’s Day brunch now – you’re going to need it to take care of the hangover. Or if you’re keen to get started on your New Year resolutions, hit the gym. Perched above the throngs on Canton Road, sleek drinking den Aqua Spirit is making sure 2018 ends with a bang. The party promises to be a decadent affair featuring plenty of Dom Perignon and expansive harbour views. Aqua’s luxurious five-course menu features dishes like grilled beef tenderloin with foie gras and marinated lobster tail risotto before the countdown party gets properly underway. 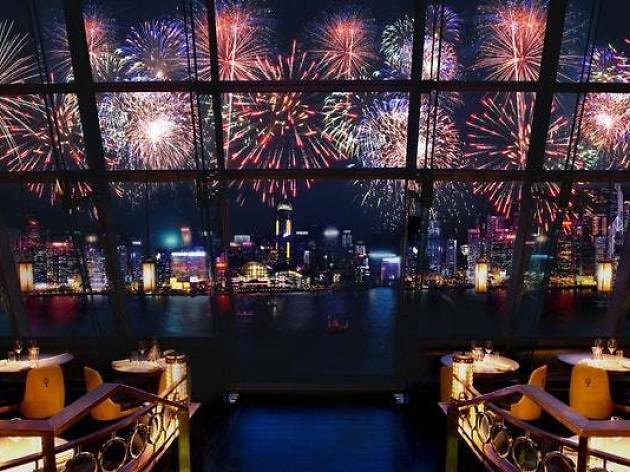 As well as getting front row seats for the fireworks, there’s also a complimentary glass of Dom Pérignon for everyone. $600, 11pm-2am. You don’t have to go on a bender to end up in the clink this New Year’s Eve. 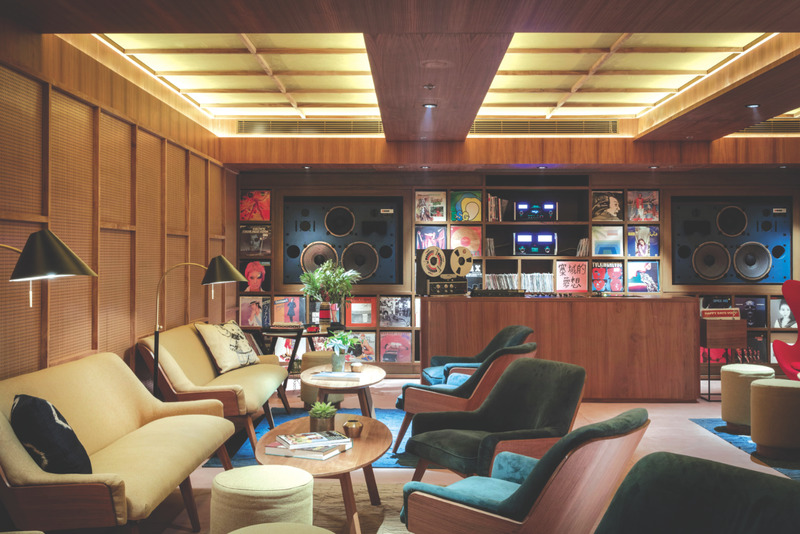 Tai Kwun’s former prison-block-turned-cocktail-bar Behind Bars will be transformed into a ghetto penthouse – think rappers and moguls – so you can pop champagne and make it rain to your heart’s content. Expect top-notch DJ beats and music. Be sure to come pimped out in your most ostentatious logos and flashiest bling for the occasion. Free entry, 9pm-12am. 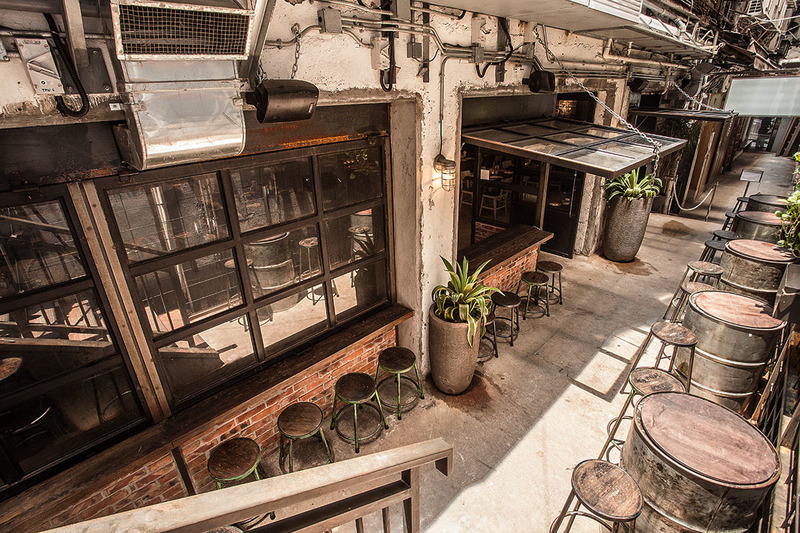 Buzzing LKF taqueria Brickhouse is throwing a full-on Mexican fiesta to say hola to 2019. You can welcome the new year by gorging on your favourite Mexican food as Brickhouse is extending its à la carte menu until 1am. To wash it all down, enjoy $70 cocktails all night long. Plus, a tequila toast when the clock strikes 12! À la carte, 6pm-late. 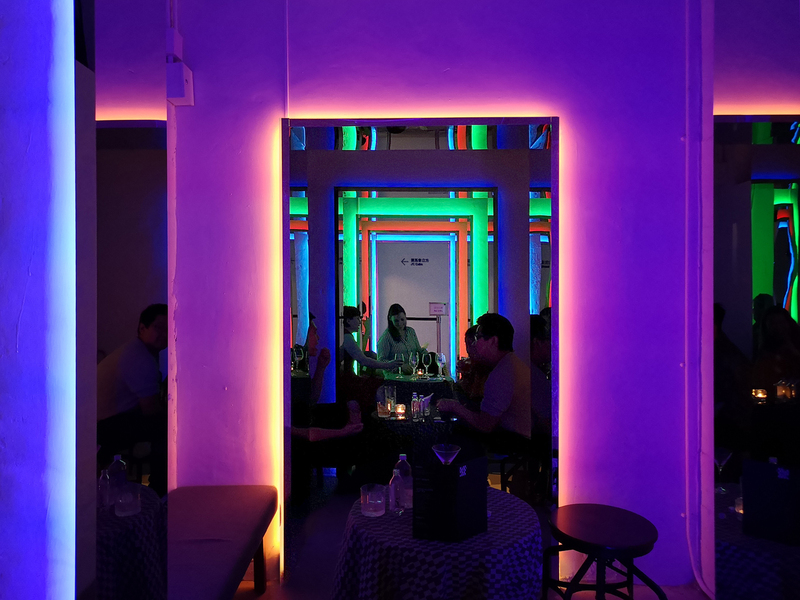 For a more down-to-Earth countdown, head to one of Central’s newest neighbourhood bars, The Chase, and its sister restaurant Hunter for an ‘80s and ‘90s party. Party it up on the bar’s brilliant open-air terrace as you take advantage of the sharing feast that comes with four hours worth of free-flow booze and a midnight American bistro-inspired buffet – you’re going to need those sliders and that mac and cheese to keep yourself going through the night. Alternatively, you can opt for either just the booze or just the buffet. Whichever, there’ll be game booths and awesome tunes to help you ring in the new year. $535-$1,056, 9.30pm-late. Prefer your cocktail shaken not stirred? You’ll want to ring in the new year at Italian trattoria DiVino’s 007-themed party. Savour a signature Vesper martini worthy of James Bond along with chef Ignazio’s aperitivo specials from 6-8pm. 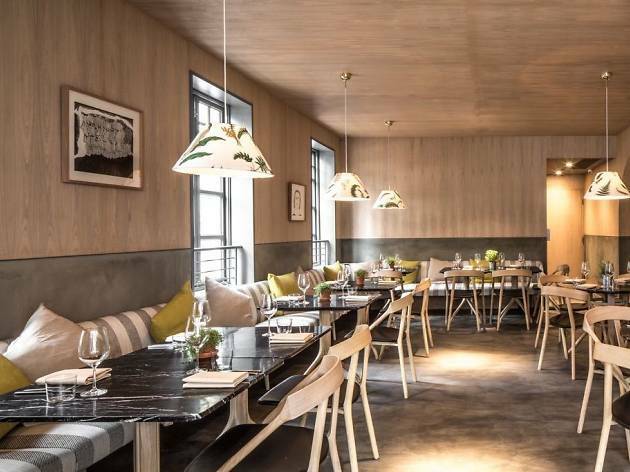 There’s a four-course gastronomic adventure that has a licence to thrill any foodies, and plenty of champagne to go around. DJs will be hitting the decks to set the party mood ready in time for the big countdown. $688, 6pm-late. One of the most sought-after New Year’s Eve tickets, Duddell’s will once again transform its upstairs salon and terrace into a glamorous party room. This year’s theme pays tribute to The Silk Road – so yeah, it’s basically east meets west. Dress code is a huge deal at Duddell’s, so make sure you put on your best Chinese silks or whatever you have to hand. 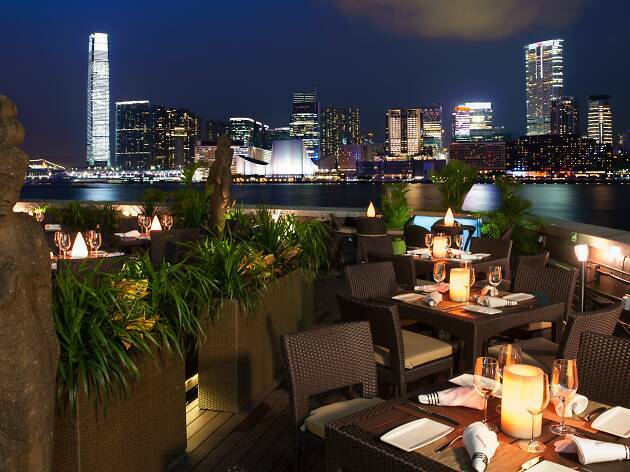 Enjoy free-flow champagne and cocktails from 9.30pm until midnight and then, into the wee hours, Michelin-star quality dim sum. $750 (adv)-$900 (door), 9.30pm-late. 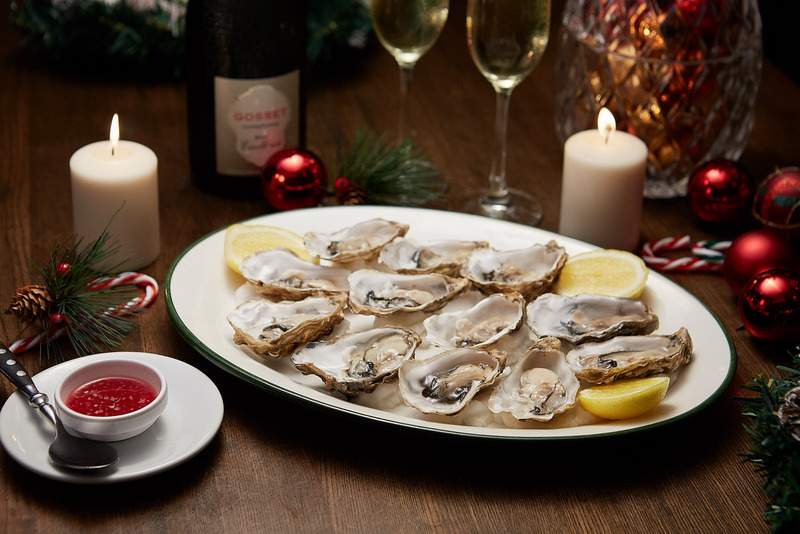 Casual Belgian beerhall Frites is ending 2018 with a slurp and a smashing selection of freshly shucked French oysters and champagne. 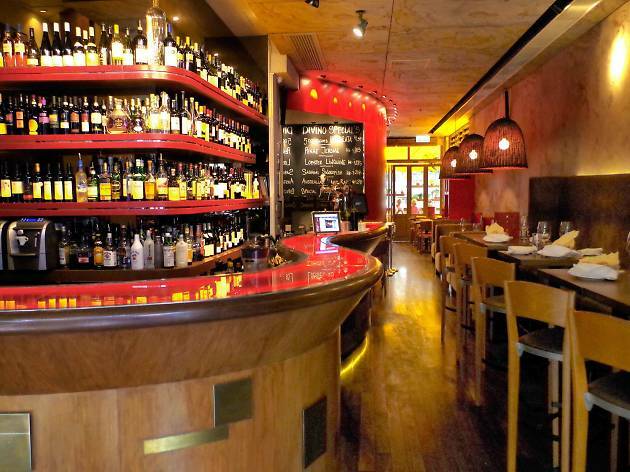 Wrap up the year by digging into hearty portions of great food and Frites’ famed brews. Just want to get sloshed this NYE? 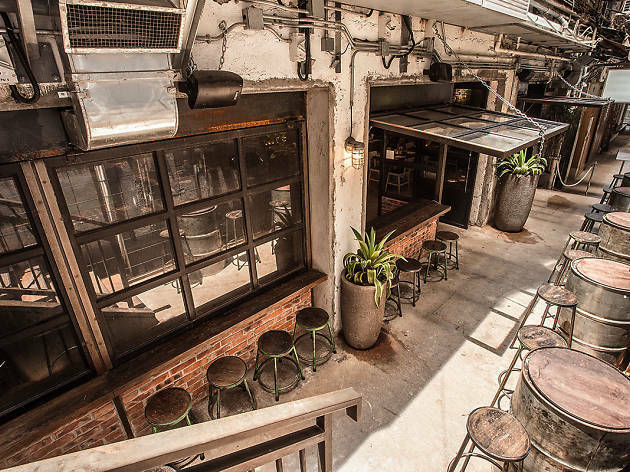 Well, the beer hall is offering two-hour drinks packages featuring unlimited prosecco, draught beer, house wine, house spirits, soft drink and juice for just $250. $880, 6pm-late. The celebrations begin early at this popular Elgin Street fusion eatery. Dinner gets going at 5pm – so at least you’ll have plenty of ballast ahead of the drinking later on – with an à la carte menu available as well as a choice of Golden Dragon or Double Happiness menus for large groups. Things get kicked up a notch come 9pm when the karaoke party starts. 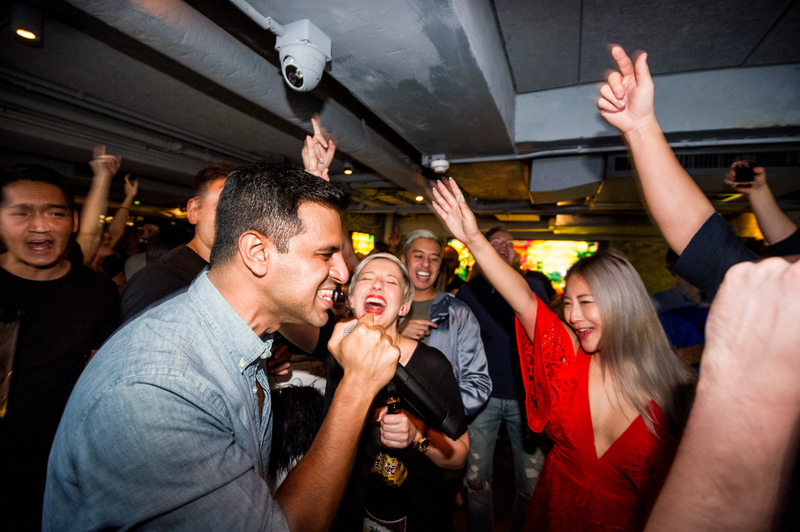 Anyone wishing to skip dinner and join the sing session can grab tickets for karaoke from 10.30pm with free-flow available until 1am. 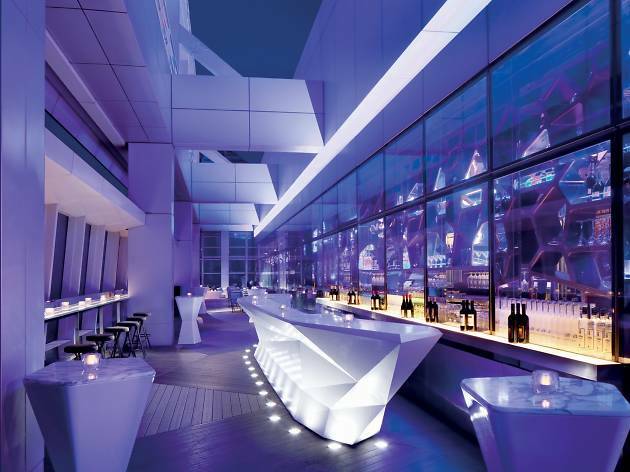 $1,288 (dinner and karaoke), $388 (karaoke only; includes free-flow soju, sparkling wine, house wines and beer). For the most spectacular view of the New Year’s Eve fireworks, it’s hard to beat a spot in Victoria Harbour itself, with no crowds blocking your way. Hop onboard a special junk boat complete gourmet buffet and free-flow drinks. 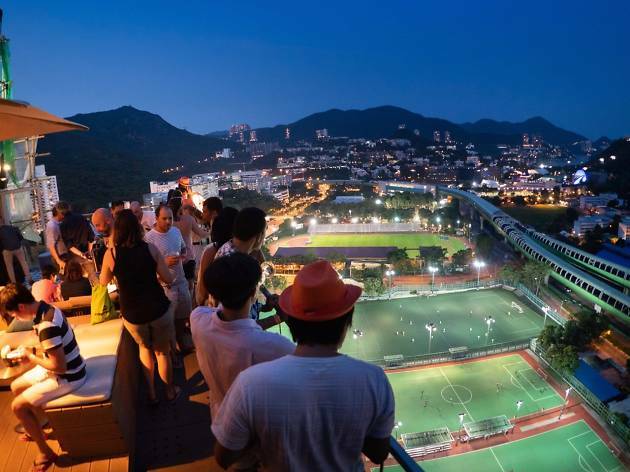 Fill up on cold cuts, salt and pepper chicken, vegetarian lasagna and meatballs and much more as you marvel at all the pretty lights across the skyline. Pick up and drop off will be at the Central Piers. $1,500, 9pm-1.30am. Instead of looking towards 2019, slide on some platform shoes and bell bottoms and party like it’s the 1970s. 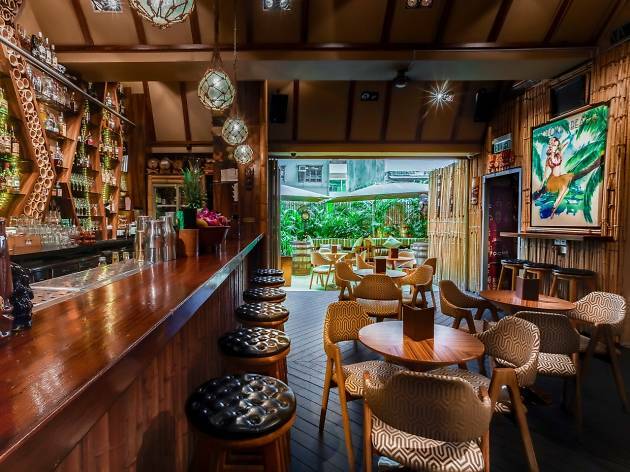 Get down and boogie with the best at Honi Honi’s disco party featuring their signature tiki cocktails. There’ll be free-flow food until 10pm and best of all, everyone gets a free bottle of champagne when they step foot inside the disco paradise. Groovy. $550 (adv), $770 (door), 5pm-late. It’s going to be quite a circus this New Year’s Eve as speakeasy restaurant Mrs Pound is throwing a raunchy circus-themed party with free-flow red wine, white wine, prosecco, house spirits and craft beer. If you can’t decide which one to indulge in, just juggle multiple glasses with both hands. It’s time to dig out your most colourful leotards and get ready for the greatest show on Earth – shame there’s no Hugh Jackman in sight. $500, 9pm-1am. Best known for its elaborate and exotic parties, Ophelia is taking things to the next level by not only hosting a New Year’s Eve party but presenting an immersive fashion exhibition at the same time. At this theatrical party, say goodbye to 2018 surrounded by incredible fashion designs and fantastical live performances. DJs Devlar, Jeanette Slack and Chris Bland will be spinning throughout the night, providing a mix of house, pop and R&B to lead you into the new year. Feel free to come dressed in your most over-the-top outfit. $250, 7pm-late. 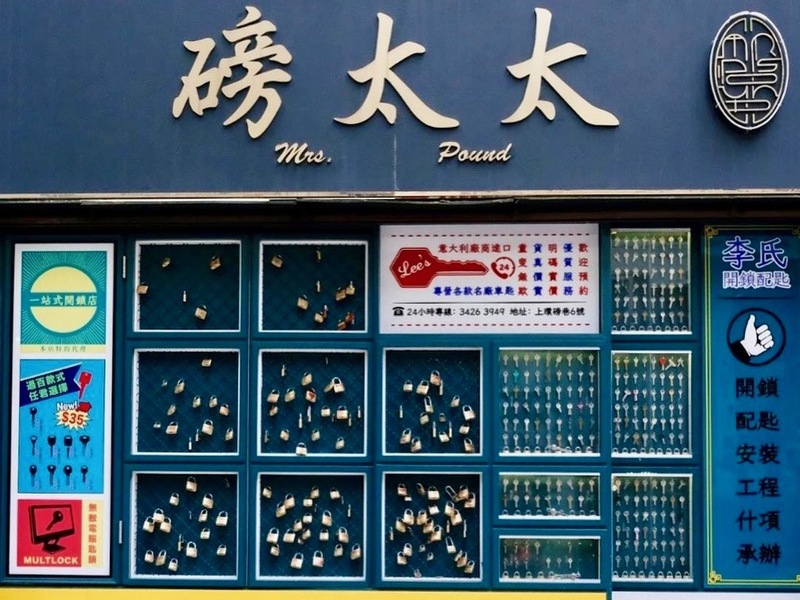 Anyone looking to escape the madness of Central or TST on New Year’s Eve should head to the Southside. 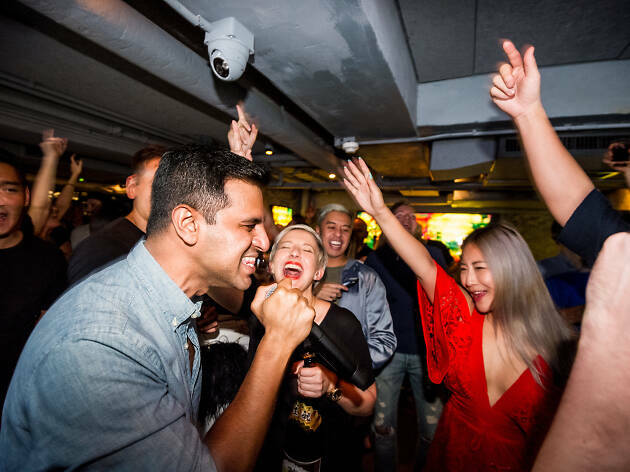 Ovolo is hosting a Crazy Rich Asians party for the occasion. There’s a wine pairing dinner at Komune to get you started, then the action moves upstairs to the rooftop bar, Above. Up there you’ll get free-flow canapes, cocktails, sparkling, white, red and rosé wines, spirits and beers. Best of all, groups of eight can order a combo package that will net them a complimentary bottle of gold Bottega prosecco. Follow the yellow brick road and get ready to meet the man behind the curtain as Ozone takes it NYE party to the land of Oz. Expect magical performances and sounds from international DJs Ari Houmous and Storm Mollison as they hit the decks. Plenty of excellent cocktails and champagne will be on offer. 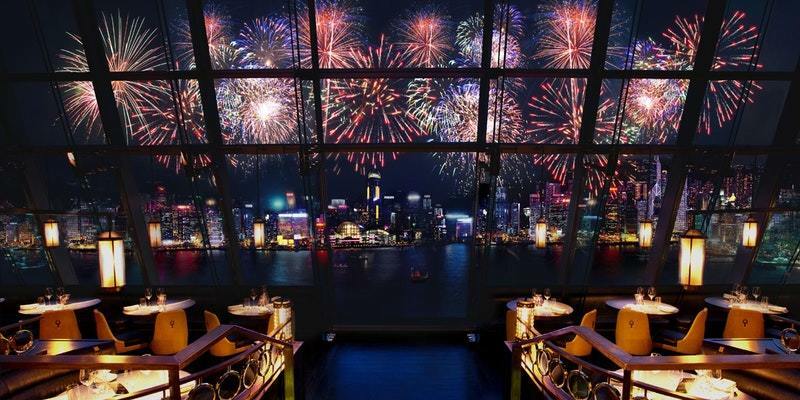 Plus, that unparalleled view from Hong Kong’s highest bar gives an awesome bird’s-eye view of the fireworks. $880 ($390 after 12.30am), 10pm-late. 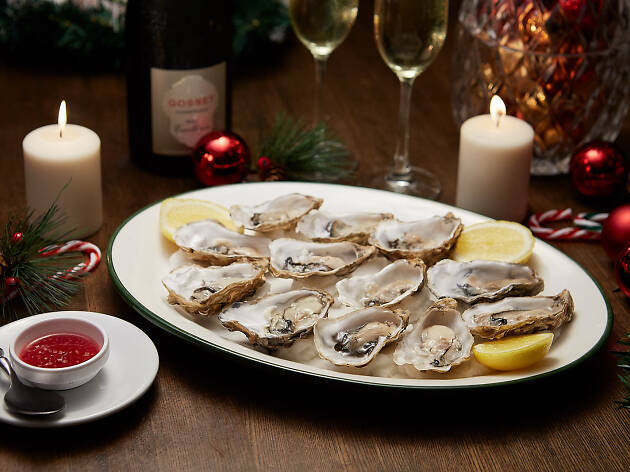 Celebrate the great year you’ve had or simply The Good Life with The Pawn’s La Dolce Vita bash. 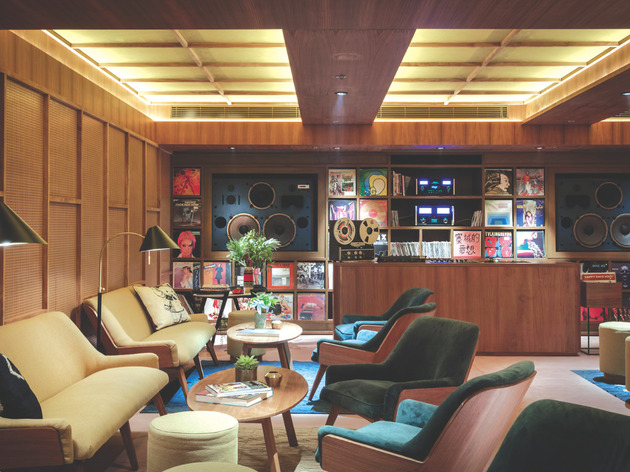 The huge party takes place on the first floor and rooftop of the Wan Chai venue, where everyone will be treated to free-flow bubbly, wine, beer, cocktails and nibbles with DJs taking you all the way through into next year. 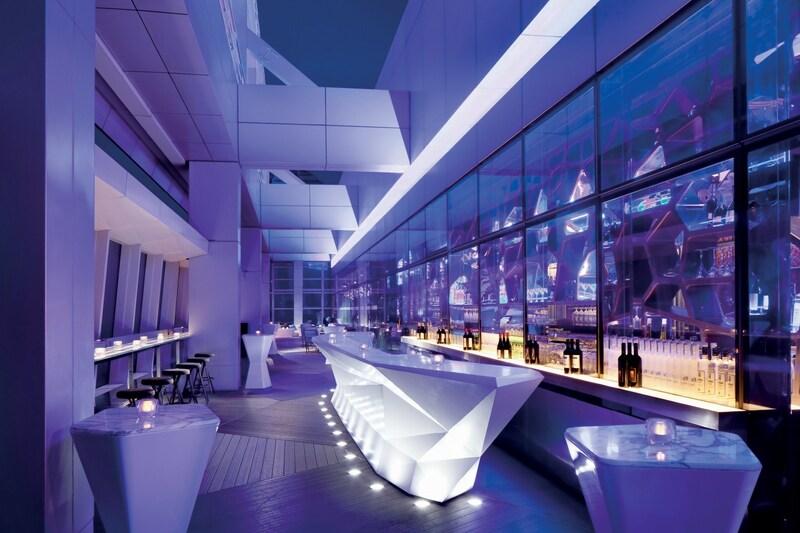 If that’s not enough, there will be a live band on the roof terrace where you can count down to the big moment! $788 (adv), $988 (door), 9pm-1am. One of Wan Chai’s top spots for Asian fusion, Tamarind is throwing a James Bond-themed bash (Bond and the Beautiful) for NYE 2019. With an open bar all night, expect free-flow booze and bubbly, plus a long list of all-inclusive treats: cocktails and canapés from 8pm to 9pm, followed by a dinner buffet from 9pm until 10pm and for anyone still standing, a hangover breakfast at 2am. The venue boasts a chill-out terrace with harbour views – ideal to see the fireworks – and live DJs bringing you fresh sounds all night. Oh, and there’s going to be Bond Girls performing scintillating dances – if you’re into that sort of thing. From $698, 8pm-late. Looking for a party room instead? 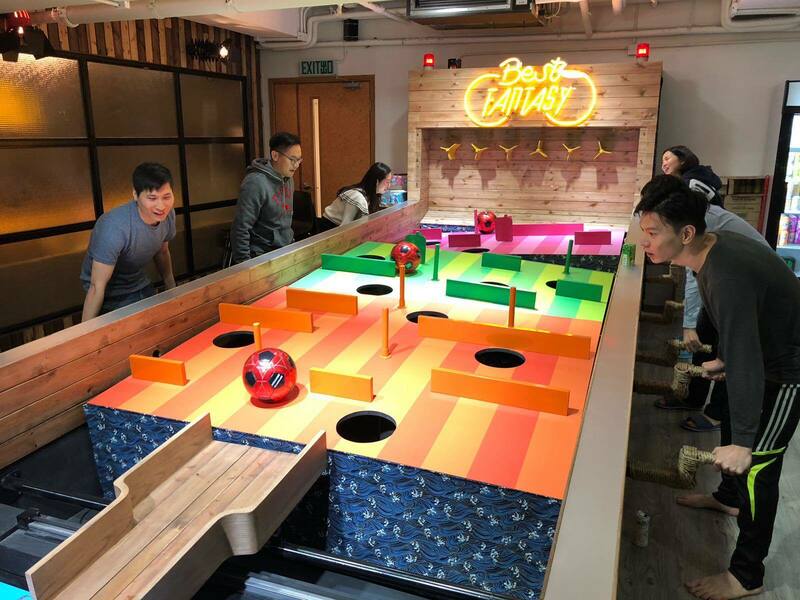 Fully equipped with the latest game consoles, VR experiences, mahjong tables, karaoke machines and a whole host of quirky game facilities, party rooms have all the best parts of an awesome house party without the sad aftermath of picking up the mess.